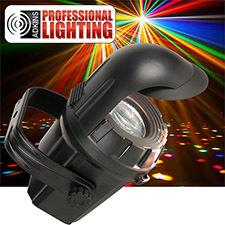 The Adkins Professional Micro Moon Phase is a Moonflower effect. 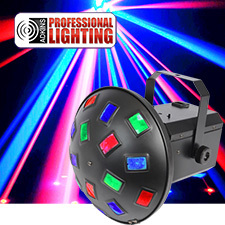 This effect fills a room with dozens of multi-colored razor sharp beams from it's 3-IN1 RGB TRI LED. With it's low power consumption, long life LED source, and it's ease of use, the Micro Moon Phase is a great effect that brings pure lighting excitement to parties, karaoke events, small bars and clubs, and for home use. 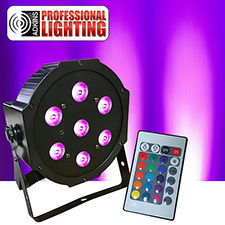 10-Watt RGB 3-in-1 LED (20,000 hr. 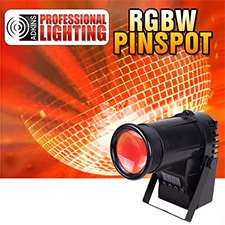 rated). 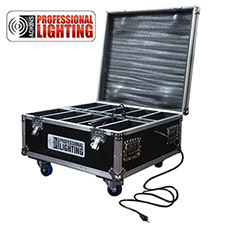 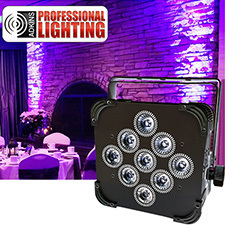 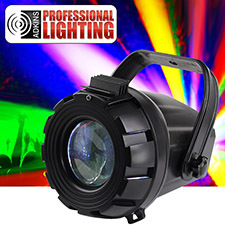 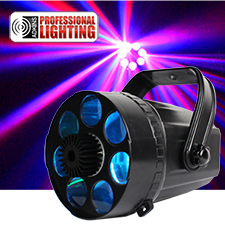 Great effect that brings pure lighting excitement to parties, karaoke events, small bars and clubs, and for home use.